The niddy noddy is best for unwinding skeins from SpinOlution's 4 oz & 8 oz bobbins. For larger skeins (16 oz & 32 oz bobbins) we recommend the skein winder. SpinOlution's niddy noddy is portable, with carrying handles, and made from baltic birch. The niddy noddy is not included in Package Deals. 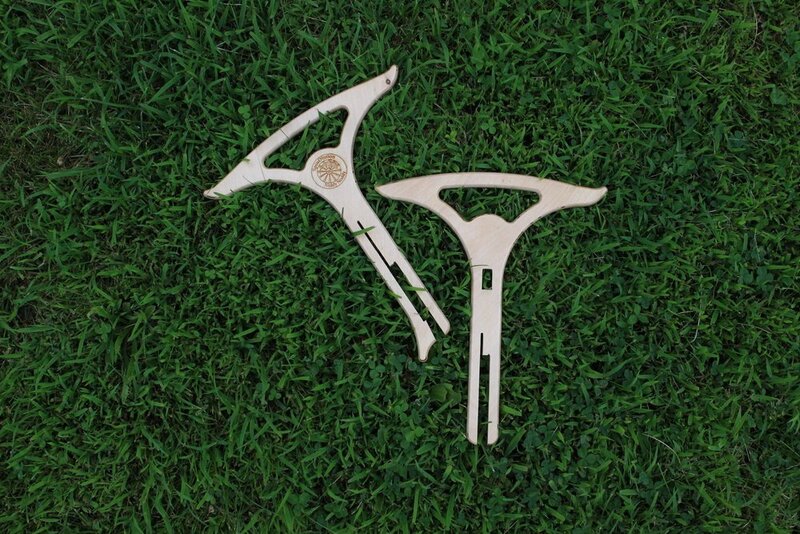 The niddy noddy comes apart into two pieces and lays flat for easy storage and transportation.